You could win a fantastic pair of Vanguard binoculars worth more than €550. If you’ve seen our recent review of Vanguard’s new flagship Endeavor EDII binocular, you’ll know we were pretty impressed with it. 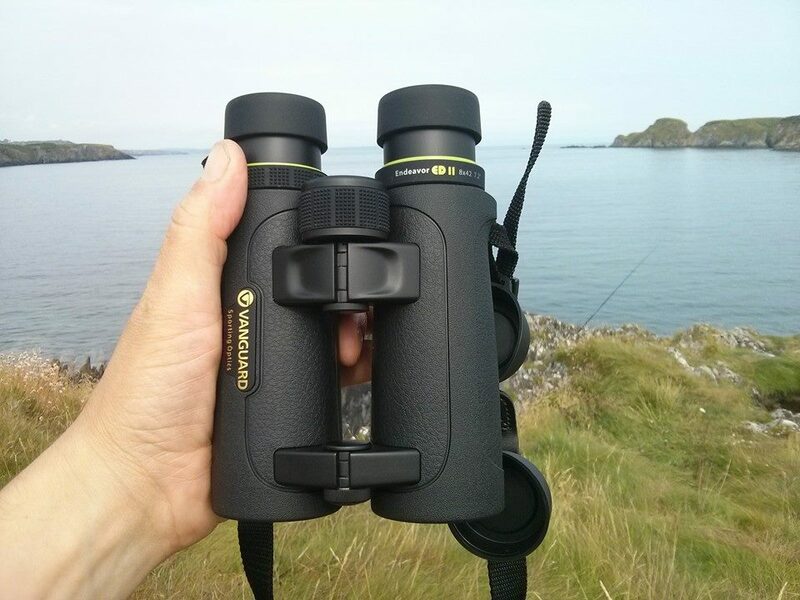 This is an excellent all-round birding and wildlife binocular… and thanks to the folks at Vanguard one lucky Ireland’s Wildlife reader will soon own their very own pair. For your chance to win a pair of Vanguard Endeavor EDII 8×42 binoculars, worth more than €550, just complete your details in the entry form below, and answer a simple multiple-choice question about the Endeavor EDII (Hint: you’ll find the answer in our review). It’s that simple! You have until the end of October to get your entry in. Good luck… and don’t forget to share the competition with all your social media friends. As a condition of entry you agree to opt in to receive the Ireland’s Wildlife quarterly email newsletter and occasional wildlife related announcements and updates we may send from time to time, you also agree that we can pass your email on to Vanguard for addition to their email list. Could put a pair of these to work..cmon. Fabulous review would love these. I have entered & shared on my own Facebook page & Mountain_View1 Twitter account, would love to win these binoculars. My husband knocked my 12 year old Opticron binoculars off the windowsill when he was drawing the curtains back the other day & a piece where the neckstrap loops through broke off so now it’s super-glued back together! Keep up the great work Calvin. If I win these I’m taking up birdwatching! Always wanted a pair of binoculars. And the lucky winner is… Sean Phillips. Huge congratulations to Sean and thanks to everyone who entered… don’t forget to stay tuned for more great competitions and prizes soon.